VO2 Max Testing in Houston is normally costly and can only be found at specific locations. However, testing your VO2 max is perfect for the rising exercise community in Houston, Texas! Our VO2 Max testing analysis lets you better understand your exercise capacity. VO2 Max measures the maximum volume of oxygen your body can use. It tells us about your cardio endurance and health. You’ll run at different intensities and speeds while our testing equipment analyzes your breath. The machine will measure how much oxygen your body is using and at what rate it’s being consumed. Why Get the VO2 Max Test? 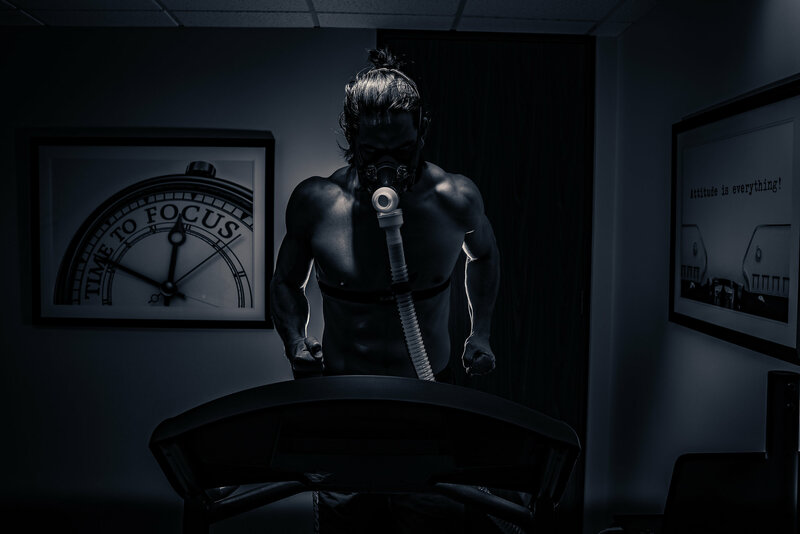 Knowing your VO2 Max also gives you insight into your heart rate training zones for fat burning, anaerobic threshold, and anaerobic, so you can tailor your workout regimen to your very specific goals and outcomes. If you know your VO2 Max, you’ll know exactly where your limits are, so you can train smarter. That means knowing the right workouts for your body and your goals, and when and how to really push yourself without fear of injury.